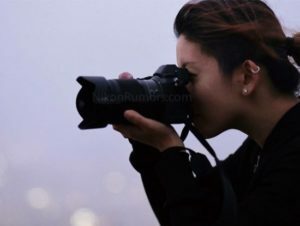 The talk on the street for months has been that Canon and Nikon are working on full frame mirrorless cameras as part of a new focus to contend with Sony’s Alpha line. 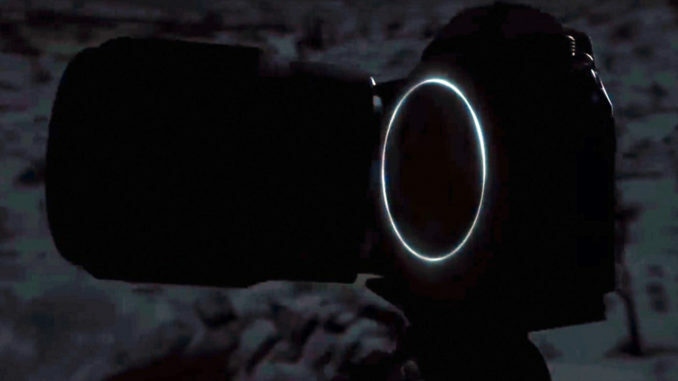 We’ve gotten breadcrumbs all along the way, but Nikon has rewarded our patience with a teaser that shows off what’s coming. And it looks to be a serious contender. 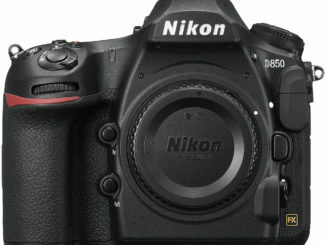 Aimed squarely to compete with Sony’s full frame Alpha 7 line, the teased Nikon full frame mirrorless camera, dubbed “FX,” looks to borrow a lot of specs from it’s DSLR cousin, the Nikon D850. The ergonomics look to be a classic Nikon design, although a tad smaller if you look at the leaked screen shot to the right. Going from the top down, we see a classic electronic viewfinder on top, and when you look at the lens mount compared to the rest of the camera body, the lens looks to be a larger mount, which could indicate that Nikon intends to allow traditional DSLR users to simply use their existing glass, rather than sell them off to get a new mirrorless set. Image adjusted to show a little more detail. This wouldn’t surprise me since, Nikon has always favored supporting their legacy line of lenses. But there is also talk of the Z mount mirrorless lens, which would then require Nikon users to use their lenses with an adapter. ring able to use existing Nikkor lenses has always been the camera company’s true strength, but the FX looks to be a completely different animal, and there’s not denying that lens in the picture above is more compact. Fro Knows Photo’s Jared Polin also noticed that the lens diameter is larger, considering it’s smaller footprint. He’s saying that there’s a 62mm .9 lens diameter, and the Nikon video seems to support that. Polin also pointed out standard Nikon buttons and dials, but a huge LCD on the back with no buttons on the rear at all. 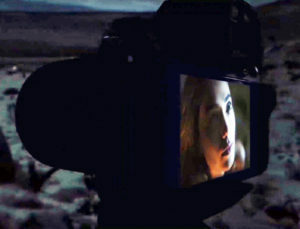 Even the electronic viewfinder looks to be larger. 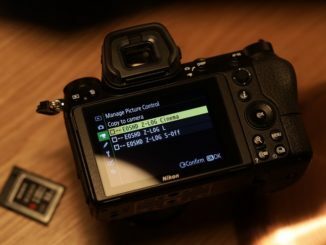 Under the hood, Nikon will likely use a similar sensor as their D850 line, with a higher end 48MP CMOS sensor for the prosumer line, and a smaller 24 MP model for consumer grades. 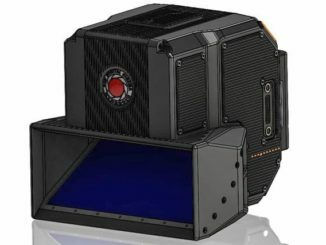 Both will also shoot in 4K video using the same higher bitrates as their D850 DSLR cousin, with better dynamic range and higher bitrates than Sony. Nikon has created a website to collect emails for updates, and the talk is, this FX mirrorless camera will be available in 2019. All told, though, I have to give props, and say that for now, it’s advantage Nikon. It’s definitely got us talking, and it’ll be interesting to see if Canon responds, and when.